Nevada’s $1.3 billion package for Tesla’s battery “gigafactory” is another in a seemingly endless series of giant subsidy deals that state and local governments have been made to think are the only way to attract major investments. 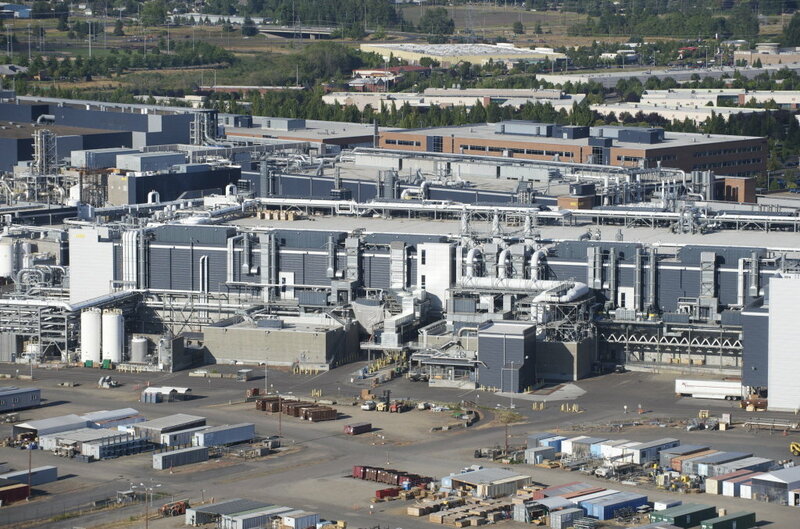 It comes on the heels of a $2 billion deal given to Intel in exchange for a commitment to expand its chip operations in Oregon (photo). Even California, which has tended to avoid the megadeal game, recently gave $420 million tax credits both to Lockheed Martin and to Northrop Grumman in connection with their competing bids to handle a big bomber project for the Air Force. These are among 19 large subsidies announced in 2014 and eight from the second half of 2013 which Good Jobs First has just added to our Subsidy Tracker as part of an update to the research we did last year for our Megadeals report. We also added 27 older deals, most of them as a result of our decision to expand the definition of Megadeals to all those with a value of $60 million or more (the previous threshold was $75 million). The 54 new entries bring our total universe of Megadeals to 298, whose history — both in terms of number per year and total value per year — can be seen in the following charts. It’s clear that the trend toward more Megadeals we identified in our report is continuing. The spike in 2013 reflects the record-setting $8.7 billion deal Boeing got in Washington State. The number of deals during the eight months of this year is already approaching the full-year totals for recent years, and the dollar total is already ahead of 2012’s figure. A full list of our 298 Megadeals can be downloaded here. The Megadeal additions are only part of the updates we’ve just made to Subsidy Tracker. My colleague Kasia Tarczynska collected nearly 7,000 additional basic entries from 60 programs in 13 states, including the first disclosures made for programs such as the new California Competes tax credit and the South Carolina Film Production Incentives. See the Update Log for a list of all the additions. We’ve also continued the process of parent-subsidiary matching announced earlier this year with the introduction of Tracker 2.0. We just uploaded matches for more than 100 additional parent companies, bringing the total to 1,415. We have linked these parents to 35,000 individual entries whose aggregate dollar value equals 77 percent of all the entries in Tracker. Megadeals may be marching on, but they cannot escape our scrutiny. This entry was posted on September 8, 2014 at 3:47 pm and is filed under Disclosure, Subsidy Tracker. You can follow any responses to this entry through the RSS 2.0 feed. You can leave a response, or trackback from your own site.